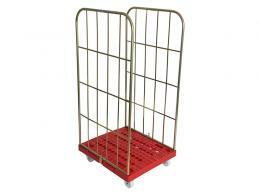 Looking for Pallet Cages & Stillages? The Workplace Depot are suppliers of sturdy and versatile roll containers. They are perfect for use in supermarkets as a stock transfer solution. We have a wide range of roll containers for sale including the bargain demountable roll container which can hold up to 500kg. 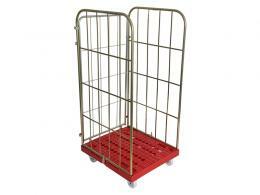 Our nesting roll cages are big space savers. Read our buying guide to find one that best suits your needs and budget. What is the Purpose of Roll Containers? There are times when it’s necessary to move several large items at once to a different location. Doing so on your own can cause quite a strain on the back. It's difficult to manage lots of packages without something falling or becoming damaged. 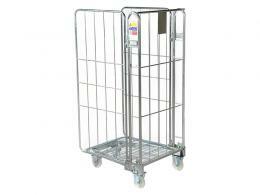 Rolling container trollies are built to comfortably carry large numbers of items in a quick and secure way. Each of these trolleys has either partial or complete wire sides. The unit will hold many parcels so you can move them in one go. The rolling trolley is on wheels, making it easy to steer. It's simple to push down a corridor, into a lift or wherever - without things getting out of control. 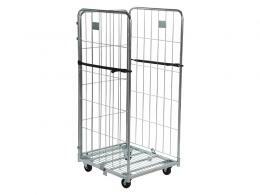 The cage sides are easy to open for easy access to the items. Where Are Roll Pallets Used? Our roll pallets come to the rescue in situations where heavy or bulky items need moving around. This includes the goods-in areas of shops and supermarkets, as well as hotels and hospitals. They can be used to the fullest in warehouses, factories and industrial units. 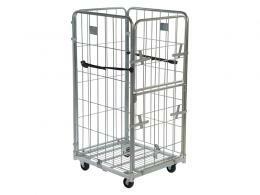 The split gate pallet roll container features a drop gate on one side for easy access to the cart contents. Plastic base roll pallets are perfect in laundry rooms for transporting large amounts of dirty and clean linen. Featuring a zinc plated finish they are hygienic and easy to steam clean or pressure wash.
Our secure delivery containers allow for the doors to lock or be security tagged. Both regular and jumbo size roll containers are available. 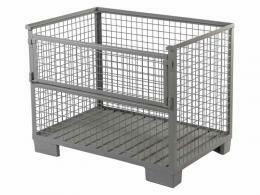 Security mesh cages have secure fenced sides. The cart contents remain visible but only people with a key (or combination code) can get inside. All Workplace Depot products come with a one-year warranty and a Price Promise to match any discount price. Buy your roll container direct online today and get speedy free delivery. We accept all major credit cards, including Maestro, MasterCard and Visa, as well as payment via PayPal. If you need help to choose your roll container, please feel free to contact our sales team.